Jared&GenPAdalecki. . Wallpaper and background images in the Jared Padalecki & Genevieve Cortese club tagged: genevieve padalecki jared cortese. 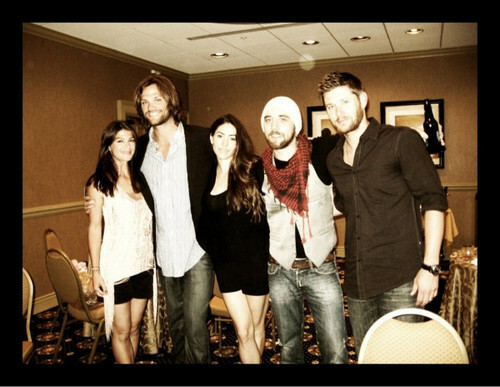 This Jared Padalecki & Genevieve Cortese photo might contain 長ズボン, 長いズボン, 看板, ポスター, テキスト, 黒板, サイン, 身なりの人, スーツ, パンツスーツ, よく服を着た人, and パンツ スーツ.